The post Motorcycle Gyromount Always Delivers Perfect Video appeared first on Make:. Electric vehicle charging stations aren't cheap: one of the most affordable Level 2 (240V) units sells for $450 and only supplies 16A. 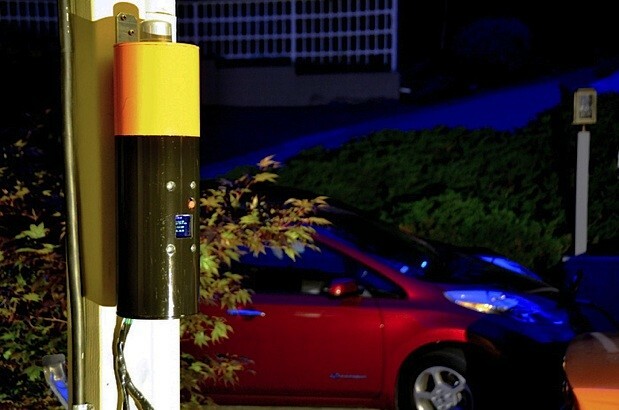 Electric Motor Works (EMW) -- which is best known for its electric conversion kits -- wants to change this with JuiceBox, a 15kW Level 2 EV charger that costs just $99 in kit form (plus $10 shipping). The device, which is launching on Kickstarter today, supplies up to 62A and operates on both 120V and 240V. 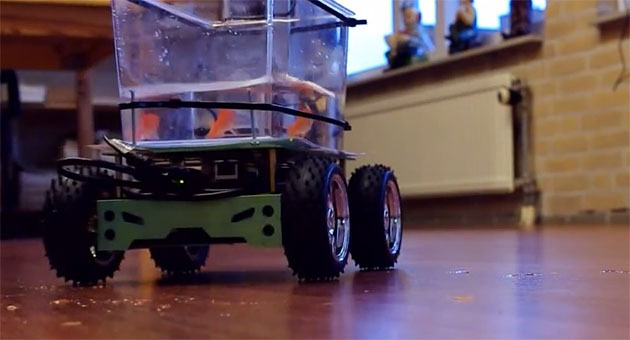 It's built around an Arduino microcontroller and EMW is making both the hardware and software open source. But wait, there's more! The company is also crowdfunding a Premium Edition of JuiceBox ($199 in kit form) which adds time-of-day charging, a color LCD, ground-fault plus output protection (for outdoor use) and a unique enclosure (hopefully as funky as the one in the picture above). While the DIY kits only require basic assembly and soldering skills, you'll be able to buy fully assembled versions for $100 more. At $329 (shipped), a ready-to-use JuiceBox Premium Edition undercuts other similar charging stations by several hundred dollars. The catch? You'll have to supply your own cables (or buy them separately from EMW), including one with a standard J1772 EV connector. Hit the source link below to check out the campaign, and take a look at the PR after the break. Bike sharing systems like New York's Citi Bike may be taking off, but it's doubtful that many participants can find every station without checking a map. Thankfully, Adafruit has unveiled a smart helmet project that could help at least a few of those riders get to their destinations while keeping their eyes on the road. 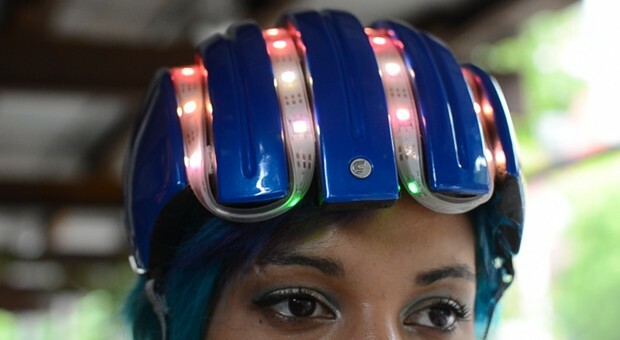 The DIY effort feeds locations to an Arduino-based Flora board and its positioning add-ons, which in turn use a string of NeoPixel LEDs on the helmet as turn indicators. Commuters just have to watch for blinking lights to know where to go next. While the system isn't easy to set up when cyclists have to manually enter coordinates, it is flexible: the open-source code lets it adapt to most any bike sharing system or headpiece. As long as you can get over looking like a Christmas tree on wheels while you navigate, you can build a smart helmet of your own using the instructions at the source link. We've seen attempts at recreating video game racing in real life. For Artica and The Arcade Man, there's no desire to preserve the illusion -- they've jury-rigged two Sega Rally cabinets to control the strictly real-world racing experiences of RC cars. 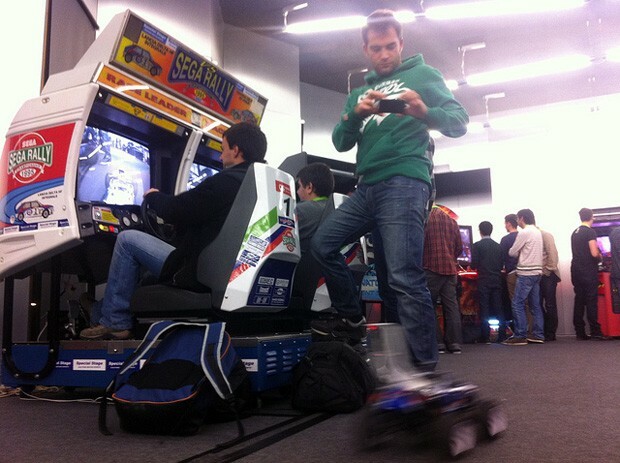 Their two-machine setup from the recent Codebits VI event in Portugal yanks the original arcade computing power in favor of an Arduino-powered system that maps the steering wheel and pedals to the tiny vehicles through a wireless Xbee link. The setup does make a nod to traditional video games through the cameras, however: drivers can pick either an arcade-style overhead camera or jump to a cabin-level view. The only true challenge during the build process was to find viable displays for the rigs, as the original CRTs proved too problematic for the retrofit. Some might consider it sacrilege to gut a classic cabinet for the sake of some RC action, but the end result is a racing experience that's at once very familiar and yet surprisingly fresh. Spectators had better watch their feet, though -- the competition might get fierce out there.